Chloe was born in Bethesda, Maryland on the coldest day of the year. The third of five children, her childhood was punctuated by family moves around the United States every two or three years, as her father – an officer in the Marine Corps – pursued his career. Only after his retirement from the military did she finally experience a “home town”, in Potsdam, New York, where she completed her high school years. After graduating from high school, she attended art school at Rochester Institute of Technology for one year, and then transferred into the architecture program at Syracuse University, graduating with both a Bachelor of Arts (history of architecture) and a Bachelor of Architecture, following a senior year abroad at the Architectural Association School of Architecture in London, England. Later in life she completed masters degree studies in international affairs in the liberal studies program at Georgetown University, and later still doctoral studies in ethics and public policy at the University of Maryland’s School of Public Policy in College Park, Maryland. In 1976, Chloe married in England and moved to Oregon. In 1979 they relocated to Nairobi, Kenya, jointly establishing an architectural, landscape architecture, and planning firm – Landplan Group Africa, with offices in Kenya, Tanzania, Uganda, and Zimbabwe. After ten years and the dissolution of that marriage, Chloe relocated to London, England, and later to Washington, DC, where in 1993 she married Christine Lucas. Their son Ian was born in 1995, and their daughter Audrey in 2000. While anchored in the metropolitan Washington DC area, Chloe and the family lived in Durban, South Africa from 1995-98, where Chloe served as managing director of Siyakhana Consulting Company, the South African branch of an international planning and architectural firm. They also spent one year in Kampala, Uganda (2005-06), where Chloe was a Fulbright Senior Scholar at the ethics and public policy program, department of philosophy, faculty of arts, at Makerere University. Chloe is a transgender woman, and until 2007 she lived and worked as Stephen. While she experienced many incidents throughout her life that might have been seen as evidence of her transgender status, it was not until she was well into her middle age years that she began to address her gender dysphoria in a determined, focused manner. With the help of expert counseling, a loving spouse and family, some (but not all) understanding employers, and a deeply supportive Quaker community, Chloe completed her gender transition. Chloe and her second spouse are now divorced, but they remain very close friends and share in the raising of their children. Chloe’s convictions as an active member of the Adelphi Monthly Meeting, Baltimore Yearly Meeting of the Religious Society of Friends (Quakers) shape her values and provide the foundation of her community. Chloe has traveled to various Quaker Meetings within the Baltimore Yearly Meeting at their invitation to help them to become welcoming and affirming faith communities for transgender persons, their families, and friends, and she has led workshops at many Quaker retreats. Chloe also served on the Quaker Nobel Peace Prize nominating committee of the American Friends Service Committee. Professionally, Chloe is active as the Executive Director of the Association of Writers and Writing Programs (AWP), based in College Park, Maryland. AWP provides support, advocacy, resources, and community to nearly 50,000 writers, 550 college and university creative writing programs, and 150 writers’ conferences and centers. AWP’s mission is to foster literary achievement, advance the art of writing as essential to a good education, and serve the makers, teachers, students, and readers of contemporary writing. Before joining AWP, Chloe completed a one-year contract as the Director of the Global Program on Violence, Rights and Inclusion at the International Center for Research on Women (ICRW) in Washington, DC. Until December 2014 she served as Vice President for Global Programs at Freedom House, where she provided executive level oversight for that organization’s four emergency assistance funds, including the Dignity for All Fund, which supports LGBTQI advocates under threat. She also oversaw global programs on global human rights advocacy, Internet freedom, gender equality, and human rights and leadership training. Prior to Chloe joining Freedom House, Chloe served as the Senior Advisor for LGBTQ Policy (global) and the Senior Advisor on Democracy, Human Rights and Governance (Africa) at the US Agency for International Development (USAID), which was a senior political appointment by the Obama Administration. She has three and a half decades experience as a development project manager, policy expert, and ethics adviser in developing countries in Asia, the Middle East, and Latin America, and especially Africa. In previous employment, she has worked with Creative Associates International (2007 – 09), Management Systems International (2000-05) and at the Louis Berger Group (1992-2000). In addition to having done a TED Talk and being featured on a podcast, she has an extensive list of publications. She is awaiting the publication in early May 2018 of her second book, Self-ish: A Transgender Awakening (Red Hen Press), which will be a memoir of her life and gender transition. Recently published is “An American’s view of trans*emergence and feminism’s response in Africa”, chapter 12 in Bodies in Resistance: gender politics in the age of neoliberalism, Palgrave Macmillan, UK. In 2008 her first book Reclaiming Value in International Development: The Moral Dimensions of Development Policy and Practice in Poor Countries was published by Praeger. Among her other shorter recent work is the 2013 article “The Provocative Human Right to Be”, in the LGBTQ Policy Journal at the Harvard Kennedy School. She also wrote a chapter on the ethical response to violent conflict in Africa in the book: New Directions in Development Ethics, (Wilber and Dutt, eds., 2010) and a chapter on development ethics in The Handbook of Global Communications and Media Ethics (Fortner and Fackler, eds. 2011). She also wrote a chapter for the recently published edited volume, Gender, Health and Security – Critical Feminist Perspectives (Routledge). Other chapters recently written by Chloe have already been approved for the following upcoming publications: a) Handbook of Development Ethics (Routledge); b) Ethics, Agency, and Democracy in Global Development (Cambridge University Press); and c) Routledge Research Companion to Transgender Studies. 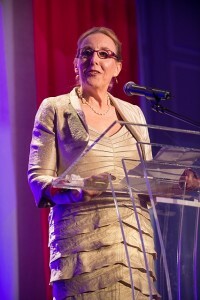 In 2013 Chloe was selected as the Distinguished Alumna of the Year by the School of Public Policy at the University of Maryland. In that same year, she was one of three awardees of the National Public Service Award, by the National Center for Transgender Equality. In 2012 she received the Meritorious Honor Group Award by USAID, for her service on the Policy Task Team for the drafting of the new Democracy, Human Rights, and Governance Strategy. Chloe currently serves on the board of the International Development Ethics Association, the Global Advisory Council of World Learning, and on the International Projects Executive Committee (IPEC) of the American Friends Service Committee (AFSC).